I’ve been a child photographer for over twenty years. I also have three kids and have seen them through the younger years, so I’m pretty aware of how a child, especially a younger one, operates. Kids run out of steam easily. Imagine having 20 cups of coffee first thing in the morning and then spinning out of control until you collapse. That’s a kid. And as the day goes on they tend to get crankier and crankier until you have to get them down for the night. Been there, done that. A photography session is unfamiliar to your kids and it is not unusual for them to act out during the session. You have a schedule and it sure is easier for you to do a photography session after work or after school, but I beseech you to understand that YOUR schedule is not THEIR schedule. Too often we are asked to do an afternoon portrait photography session with kids. I’m sorry, unless you are a rock star who keeps your kids up to 1am (I have photographed those kids and they are different) I will have to refuse. Why? Because photographing 2 snapshots of your kid in the afternoon is one thing, but asking for their good behavior and focus for longer than that is a disaster. I know because I have gone outside of my own rules too many times, and although I have managed to get something, it’s not always perfect and it always, always, always ends up with the parents saying, “I don’t understand, she’s not normally this bad.” I understand. I do. 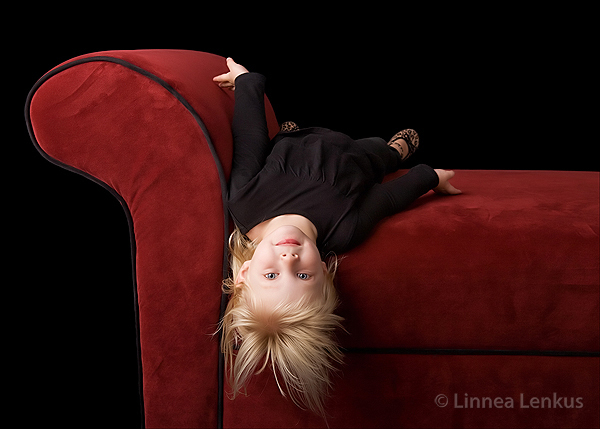 Don’t let your portrait session turn upside down! 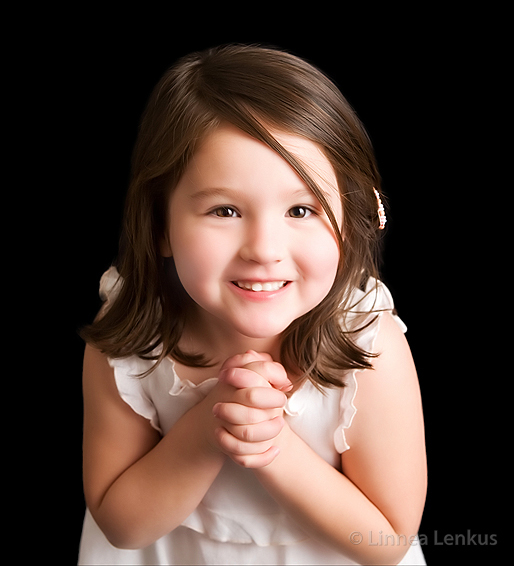 So, I ask you to please bring your children for a portrait photography session when THEY are at their most optimum. Ninety percent of the time, that’s in the morning. You will be so proud of their behavior and it will be smooth sailing. Ready, set, smile! A well rested child ensures a successful photography session. Fine Art Studio locations are in Pasadena and Long Beach in Southern California, USA. If you are looking for the best child photographer and want stunning kid portraits then your search is over! 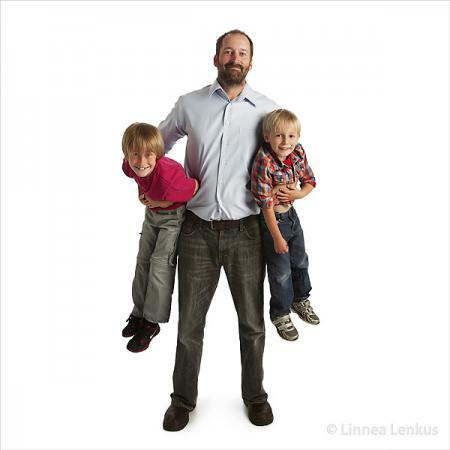 Call for your own creative child photography session with Linnea Lenkus today! 562.981.8900.